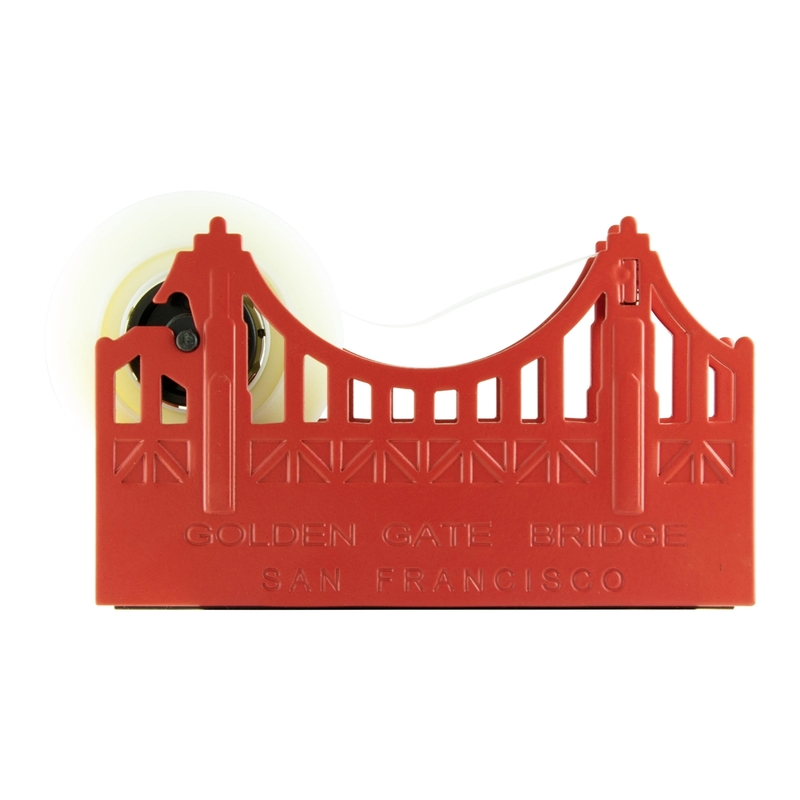 Dream big while you work with a Golden Gate Bridge Tape Dispenser. 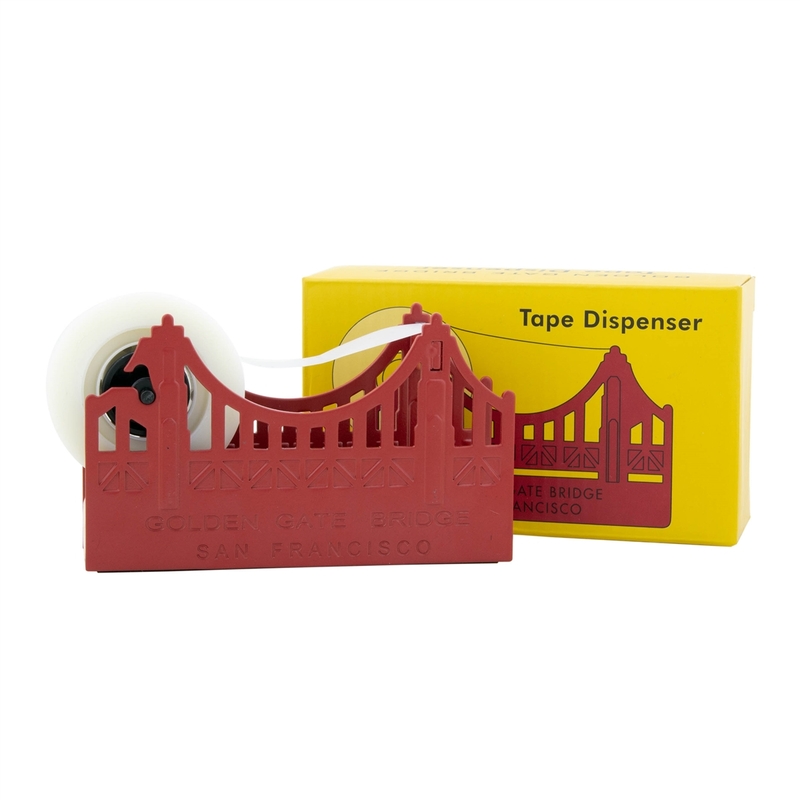 You’ll love accessorizing your desk with this cast steel tape dispenser. With embossed details, a coat of International Orange paint, and a convenient non-slip, weighted base, it’s designed to please in both form and function—just like the Golden Gate Bridge. Dimensions: 4.75" x 2.75" x 1.25"